3 Bedroom Detached Bungalow For Sale in Bury St. Edmunds for £290,000. Open House Sunday 28th of April 10.30 until 11.30 Call to book your slot. The Cowslip Plot 1 is a brand new beautifully presented detached 3 bedroom chalet (1155 sqft) brought to you by 'Laurence Homes' including, Large Lounge/Diner, and highly efficient air source heat pump. The property includes Kitchen, Large Living Area, Downstairs W/C, Separate Dining Room, Three Bedrooms with En-Suite and built in wardrobes to the Master, and Family Bathroom. The Bathroom boasts from a fully tiled bath area, half tiled to sanitary ware walls, thermostatic mixer shower valve, white sanitary ware from their current range, co-ordinated wall tiling. The En-Suite includes fully tiled shower cubicle, thermostatic mixer shower valve and half tiled to sanitary ware walls. Included in this fantastic property there is a double parking space. You will find TV points to all bedrooms and lounge, telephone points to all bedrooms, lounge and hall, UPVC double glazed windows, fibreglass roof insulation, block paved driveway and security locks to all external doors. Being a brand new property you can also have piece of mind with the fantastic 10 year NHBC 'Buildmark' warranty too! West Row is situated between Mildenhall and Soham amidst some of the best agricultural land in East Anglia and was announced as runner up on the Suffolk Village of the year competition in 2015. It is considered part of the Breckland and sits on the edge of the fens. West Row is home to the West Row Community Primary School, St Peter's Church, and also hosts a general store, fish and chip shop, takeaway, and hairdressing salon. The village also boasts the popular boat pub The Jude's Ferry, which is located on the River Lark. The River Lark crosses the border between Suffolk and Cambridgeshire and is a tributary of The Great River Ouse. The River Lark flows through West Row, and The Jude's Ferry public house is about the last navigable point for canal boats and cabin cruisers. Access to the River Lark is from the Ouse, and via Isleham. At the far end of the village and just into Beck Row is the West Suffolk Golf Club. There is a new cycle way through picturesque countryside, a distance of approximately two miles providing a safer way to ride or walk between West Row and Mildenhall. There are also local bus services to Mildenhall and Bury St Edmunds where high street shopping and amenities can be found. The Mildenhall Treasure, a major hoard of highly decorated Roman silver tableware from the fourth-century AD, was discovered in West Row. The hoard was discovered by farmer Gordon Butcher while ploughing in January 1942. He did not recognize the objects for what they were, and the hoard did not come to the attention of the authorities until 1946. An inquest was held in the summer of 1967, when the find was declared treasure trove and acquired by the British Museum in London. Mildenhall is approximately three miles away via West Row Road and Bury St Edmunds is just over 18 miles away. 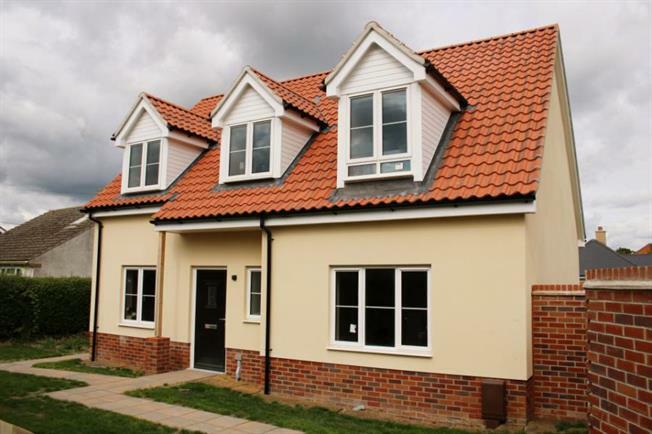 The development is also ideally situated with the newly improved A11 just a short drive away offering quick easy access to Newmarket and onto the A14 to Cambridge. Internal pictures are a representation of the show home and may differ for other house types. HELP TO BUY - With a Help to Buy: Equity Loan the Government lends you up to 20% of the cost of your newly built home, so youll only need a 5% cash deposit and a 75% mortgage to make up the rest.